During the month of November, we’re giving away one barbecue sandwich per day. Let’s call it a lunch upgrade. Post a picture of your less-than-stellar lunch on Instagram or Twitter using hashtag #buzgiving or on our Facebook timeline for a chance to win. We’ll pick one lunch that NEEDS an upgrade to some Real BBQ each day for the month of November. 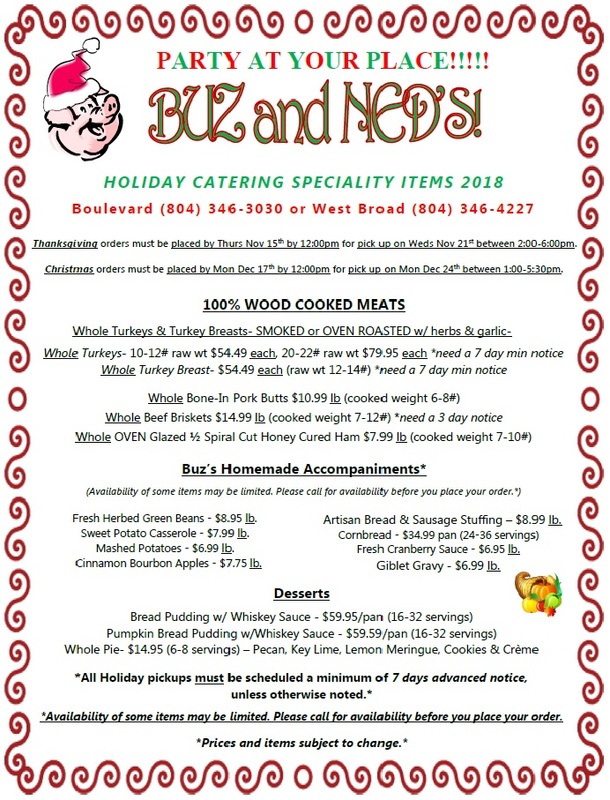 Buz's Holiday Menu. Order Now.